Since the dawn of air power, supporters have advanced fantasies that, again and again, have failed to pan out—while civilians die in often staggering numbers. 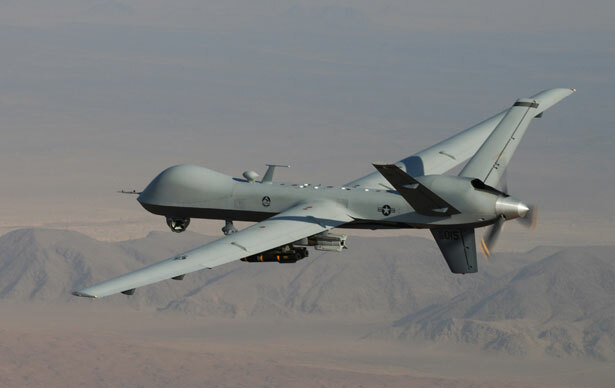 Today’s unmanned aerial vehicles, most famously Predator and Reaper drones, have been celebrated as the culmination of the longtime dreams of airpower enthusiasts, offering the possibility of victory through quick, clean and selective destruction. Those drones, so the (very old) story goes, assure the US military of command of the high ground and so provide the royal road to a speedy and decisive triumph over helpless enemies below. Pondering the hecatombs of dead from trench warfare, air power enthusiasts of the 1920s and 1930s not surprisingly argued strongly, and sometimes insubordinately, for the decisive importance of bombing campaigns launched by independent air forces. A leading enthusiast was Italy’s Giulio Douhet. In his 1921 work Il dominio dell’aria (Command of the Air), he argued that in future wars strategic bombing attacks by heavily armed “battle-planes” (bombers) would produce rapid and decisive victories. Driven by a fascist-inspired logic of victory through preemptive attack, Douhet called for all-out airstrikes to destroy the enemy’s air force and its bases, followed by hammer blows against industry and civilians using high-explosive, incendiary and poison-gas bombs. Such blows, he predicted, would produce psychological uproar and social chaos (“shock and awe,” in modern parlance), fatally weakening the enemy’s will to resist. While the US attempted and failed at precision daylight bombing against Germany’s “vital centers,” Britain’s RAF Bomber Command began employing what was bloodlessly termed “area bombing” at night in a “dehousing” campaign led by Arthur “Bomber” Harris. What became an American/British combined bomber offensive killed 600,000 German civilians, including 120,000 children, reducing cities like Cologne (1942), Hamburg (1943), Berlin (1944-45) and Dresden (1945) to rubble. But moral qualms were put aside in the postwar glow of victory and as the fear rose of future battles with communism. The Korean War (1950-1953) may have ushered in the jet age, as symbolized by the dogfights of American Sabre Jets and Soviet MiGs over the Yalu River, but it also witnessed the devastation by bombing of North Korea, even as the enemy took cover underground and refused to do what air power strategists had always assumed they would: give up. The recent marriage of PGMs to drones, hailed as the newest “perfect weapon” in the air arsenal, has once again led to the usual fantasies about the arrival—finally, almost 100 years late—of clean, precise and decisive war. Using drones, a military need not risk even a pilot’s life in its attacks. Yet the nature of war—its horrors, its unpredictability, its tendency to outlive its original causes—remains fundamentally unaltered by “precision” drone strikes. War’s inherent fog and friction persist. In the case of drones, that fog is often generated by faulty intelligence, the friction by malfunctioning weaponry or innocent civilians appearing just as the Hellfire missiles are unleashed. Rather than clean wars of decision, drone strikes decide nothing. Instead, they produce their share of “collateral damage” that only spawns new enemies seeking revenge. The fantasy of air war as a realm of technical decision, as an exercise in decisively finding, fixing and dispatching the enemy, appeals to a country like the United States that idolizes technology as a way to quick fixes. As a result, it’s hardly surprising that two administrations in Washington have ever more zealously pursued drone wars and aerial global assassination campaigns, already killing 4,700 “terrorists” and bystanders. And this has been just part of our Nobel Peace Prize–winning president’s campaign of 20,000 airstrikes (only 10 percent of which were drone strikes) in his first term of office. Yet despite—or perhaps because of—these attacks, our global war against Al Qaeda, its affiliates and other groups like the Taliban appears no closer to ending. And that is, in part, because the dream of air power remains just that: a fantasy, a capricious and destructive will-o’-the-wisp. It’s a fantasy because it denies agency to enemies (and others) who invariably find ways to react, adapt and strike back. It’s a fantasy because, however much such attacks seem both alluringly low-risk and high-reward to the US military, they become a rallying cause for those on the other end of the bombs and missiles. Los Angeles’s Veterans Administration is leaving its homeless veterans out to dry. Read Jon Wiener’s take.